От остальных кошаков выгодно отличается поглощением дамага Каменная кожа - особенно актуально против зверьков с мультиатаками, магическим дамагом Ониксовые клыки, что делает её пригодной против флаев. Отдельная тема Призыв тьмы, что в комбо Красться просто ваншот для драконов. Правда, от самохила придётся отказаться в этом случае. In my opinion, this pet should be classified as "Magic" instead of "Beast" for pet battles. I named mine Blair, any other name is just wrong. Ride with the moon (and this furry, whiskered witch) in the dead of night! Is a reference to the song This is Halloween from Tim Burton's The Nightmare Before Christmas. It's a great movie and I know the entire song by heart. This is just a great pokemon. The magic-type attack Onyx Bite (making it actually strong against flying-types) makes it even a little on the overpowered side. The normal Cat moveset's only weakness is that it only has beast-type attacks, making it essentially weak to birds. ...And it still has Devour! Any self-heals are very, very, very valuable. I actually don't have one of these yet, but I do use a lot of Cat-types because of Devour. If she's only uncommon, I don't care. She'll be the first one to get a battle-stone when 5.1 hits, and well worth it. Does this pet naturally have low HP? At level 25 mine has only 1100 health, when most of my other lv25 pets have around 1600. It's kinda hard to win battles when it dies in 3 hits. This is my 'partner in crime" on my main he hits hard for a little guy mines 16 . I think the reason so many people like him is that fact hes a black cat and when you mount up he gets on hes little broom .. and rides along when you get on a flying mount he gets on hes broom and flys around on hes broom the little witch hat is a plus . I like to use mine to power level in the Долина Четырех Ветров. With Pounce, Stoneskin, and Devour, battles go quickly and you'll almost never have to make a trip to the stable master. Bring along two lowbies for the ride if you wish, since it can solo pretty much everything there. Stoneskin will shrug off Ядовитый клык, Острые колючки, and Рой, while Devour will recover most of your health, especially against critters. I recommend getting a Rare upgrade for it, though, since it doesn't have much health. The one thing it can't do is shield very low level pets, so you may want to bring along a Дирижабль ярмарки Новолуния or a Механический пандаренский дракончик, both of which have Приманка. Great pet to use in conjunction with the pandaren monk. Especially against dragonkin. Call Darkness along with Fury of 1000 Fists will flatline almost dragon you come across. Prowls speed reduction counter-acts pounces sequence benefit. To use this combo as an absolute critter imploder I first use a snakes Hiss ability. Hiss's slow effect has a four-round duration giving enough time to swap, prowl, and pounce for devastating one-shot kills. I realize that all more than one shot of course. The best pet to aid in leveling your pets against Critters in Valley of the Four Winds. Start with your low level with one attack, then use Feline Familiar's Pounce then his self-heal/damage ability Devour. You will wind up ending the battle at near full health so you can continue grinding! I keep waiting for Devour to get nerfed, but thank god it hasn't yet, haha. Upgraded this pet to rare with a battle stone. At level 25, prowl + call darkness = one-shot Aki the Chosen's dragonkin with a 2178 non-crit. This guy is absolutely amazing against dragonkin. This pet, along with the Pterrordax Hatchling make an excellent duo for power leveling weaker pets in the Vale. I find that Onyx Bite, Stone Skin and Devour work the best here. Keeping up Stone Skin will basically negate any poison that would otherwise damage you. Onyx Bite will tear through whatever flying enemies you might come across and is strong enough to make short enough work of the aquatic enemies as well. Devour, when used properly, gives this pet some amazing staying power. Using this setup, you won't have to stop and bandage your pets or fly back to the shrine very often, which means faster leveling. His low HP may appear to be a weakness. #1: Stoneskin makes this quite moot. His Stoneskin is so huge, he almost doesn't need HP, so more on Stoneskin later. #2: His Beast type syncs excellently with his low health; the harder they hit, the faster you burst. #3: Devour tops off his health with nearly every kill. Due to Devour's interaction with this pet's attack stat, this is also huge, so more on that mechanic, as well. When Devour doesn't top off your health, #2 (the Beast racial) only kicks in that much faster. #4: This pet makes up for its low HP with high stats elsewhere, which is why its Stoneskin & Devour (and even Pounce) are so amazing. Ergo, low HP is less a weakness, more a price to pay for this pet's amazing strengths. STONESKIN: This pet is just a few points shy of the BEST STONESKIN ATTAINABLE! Why? Stoneskin's efficacy is based on attack power, and this pet has AMAZING attack power. Sure, there are pets with more attack power, but not with these moves, and not with this speed. Feline Familiar's Stoneskin makes it virtually immune to DoTs, swarm attacks, a great many multi-hit attacks, and weak hits with side effects (like Hiss, which relies on hit/damage to apply the side effect; i.e. if they're "blocked", they do nothing at all). Also worthy of note: The only pets who beat this pet's Stoneskin do have life drain, but are strongest against humanoid pets, which are rare in the wild. This pet has the strongest Stoneskin + heal combination in the game (as of current patch) and is strongest against critters, which are EVERYWHERE! This pet is a tank, low HP or no. DEVOUR: Again, not only is its damage based on this pet's attack power, but the heal from Devour is ALSO based on attack power. A kill with Devour will restore this pet to 100% from nearly half HP. That's right, getting under 50% HP & proc'ing Beast racial can still result in nearly 100% HP after a well-made kill, which did 50% more damage from the racial. Double dipping ftw. Keep in mind, the Beast racial does not boost the actual attack power, merely the damage, so going under 50% HP will NOT boost your heal from Devour. Nor will crits. POUNCE: Yes, this pet has Onyx Bite. That is not its strength, so don't use it. 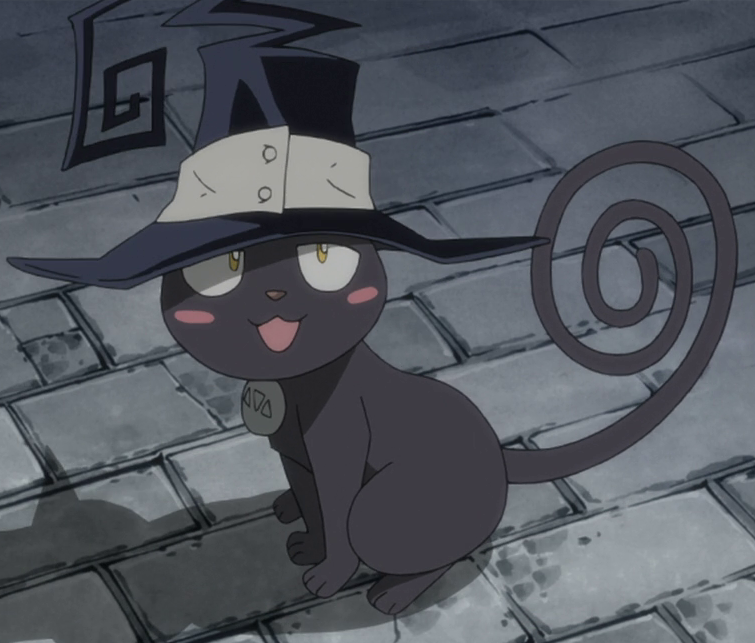 (If you want magic abilities, use a pet with better magic abilities.) While not amazing, this pet's speed is nothing to sniff at. It will usually attack first. Only fliers and the occasional rare/uncommon pet will be faster. His 289 speed can be nerfed to 219 by many attacks, IF the damage they deal is strong enough to get through his Stoneskin, so watch for combinations of high attack pets with Hiss et al, followed by pets with a speed of 219 or more. Furthermore, Pounce's tooltip is incorrect: it DOES NOT always strike twice if the user strikes first! It only strikes twice if the user is FASTER than the enemy. In cases where both pets have equal speed, Pounce will only strike once, even if it goes first. Cutting Feline Familiar's speed is a huge hit to its DPS, so be very wary of this. Pounce was recently buffed to 100% hit chance (from 90%) making it your go-to attack for DPS, whereas Devour USED TO BE your reliable finisher. So Pounce is now an acceptable finisher if your HP is near or at full, though this is always dependant on your speed. For the record, for those who don't have a Feline Familiar, have a long wait until Hallowe'en, and don't wish to shell out the gold at the AH... My go-to pet for random pet battles prior to this was the Corefire Imp, which is still amazing for random pet battles. I keep one handy to this day, and he sees use once in a while. Approve of the pronouns or not... I'm a punk, but I've always had a soft spot for the Stray Cats & their "Stray Cat Strut". My Feline Familiar is duly named "Feline Cassanova". Furthermore, fun choice or not, Feline Familiar is NOT a top PvP pet. If you think his great stats will help you in PvP, think again. DO NOT PVP WITH THIS PET! There will always be the, "I won once with it" crowd, but no one consistently wins with this pet in their lineup. No one. PvP with this pet at your own risk. Purchasable from Чаб or Дороти for 150x Тыквовинские сладости during the Hallow's End event, which occurs once a year from Oct.18th to Nov. 1st. If you're on a flying mount, this pet will follow you on it's own Волшебная метла! One of the best battle pets to have in your arsenal, its very useful! Dorothy no longer sells these. The Pet Vendor next to her does. I think her name is Pippi. Взлетите на метле во мраке ночи (и возьмите с собой эту пушистую усатую ведьму)!